Half of Mesa County residents who are eligible for food stamps get them, while the other half who apply are routinely turned away. 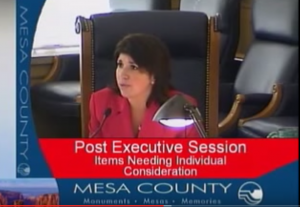 Rose Pugliese, the Mesa County Commissioner who leads the Department of Human Services (DHS) commission in charge of managing food stamp programs in Mesa County, has picked nasty public fights with county DHS management (video) and follows her predecessor, Janet Rowland, in trying to restrict Mesa County residents from participating in federal food assistance programs. But this spring, the state legislature passed a new law aimed at fixing problems with food assistance programs at the county level like we have in Mesa County. Now the County Commissioners’ interference in the processes of approving area residents for these programs will surely fall under state scrutiny. “These are people in need, and they qualify for assistance, but our current systems don’t always do a good job of getting them the help they need,” said Colorado Sen. Pat Steadman, lead sponsor of Colorado’s Senate Bill 16-190, which aims to improve the efficiency of public assistance programs at the county level, and get more food assistance to Colorado citizens who need it most. In an incredible show of bipartisanship, the state legislature passed SB 16-160 unanimously, and Governor Hickenlooper signed the bill into law on June 1, 2016. The Food Assistance Program — the federally-funded program commonly known as food stamps — provides eligible families with modest monthly funds to purchase food, averaging only about $1.40 per person, per meal. The majority of eligible people are children, seniors, working adults, veterans and individuals who are disabled. Both the state of Colorado and Mesa County in particular have had longstanding problems with the administration of food stamp programs and chronic underperformance of the program at the state and county levels. Colorado ranks 45th in the U.S for access to food stamps and has hovered near the bottom of the national rankings for over a decade. As a result, the state is losing over $686 million in grocery sales annually — funds that could help feed the Coloradans most in need, and boost local economies. Mesa County is one of the worst performers in the state when it comes to administering food assistance programs, losing out on $23.5 million in additional grocery sales annually – funds that not only would feed many of our county’s most vulnerable residents, but which would also boost our troubled local economy. 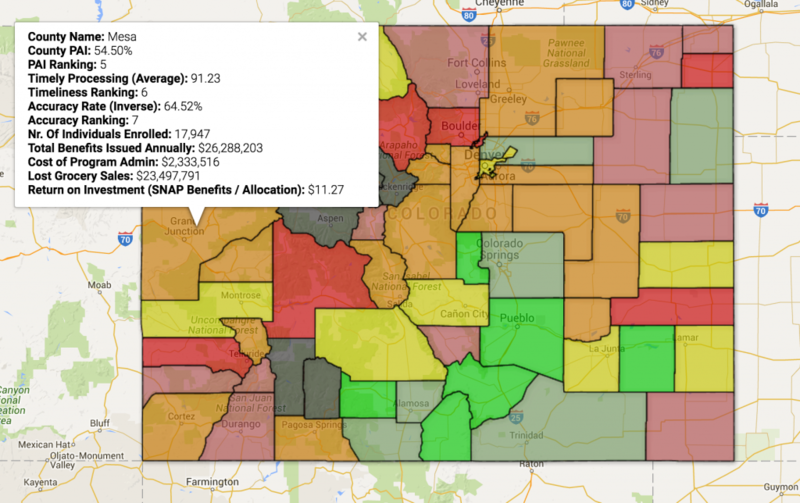 Mesa County’s exceptionally bad record at delivering food stamps and other public benefits was a factor in the bipartisan passage of Senate Bill 16-190 this session. Mesa County limped along, approving only 54.5% of eligible applicants for food stamps, and the county has an accuracy rate of only 64.52% in processing applications. The only measure that came anywhere close to meeting federal guidelines was the county’s speed of processing applications, at 91.23%. Overall, though, the end result is that nearly half of all Mesa County residents who are eligible and apply for food stamps are quickly told they are not eligible and turned away. First, it creates an incentive for counties to examine what’s wrong with their administration of food stamps by allowing the State to pass existing federal bonuses and penalties on to counties that either do good work administering assistance programs, or that screw up in processing applications for food stamps. Counties with poor program administration will be penalized unless they improve. If they do improve, they’ll get a financial bonus. Second, the new law calls for an in-depth analysis of why food stamps and other public assistance programs work better in some counties than others, and what resources are needed to get better results at the local level. Third, the law adds three new staff to the Food Assistance office at the Colorado Department of Human Services: a program manager, a fiscal analyst, and a performance analyst. These new employees will increase the capacity of a severely understaffed office so the state can better help counties improve their delivery of food assistance. The Mesa County Commissioners, and especially Rose Pugliese, are well known for their tendency to vilify the federal government and reject federal funding whenever they can, and at practically any stakes. 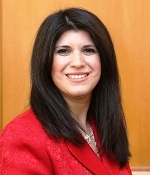 Pugliese attacks DHS director Tracey Garchar in a public session last year. DHS is the agency in charge of administering food stamp programs. Federally-funded food stamp programs benefit the county financially, though, many times over, in addition to improving life for area citizens. Not only are these benefits funded by federal sources, but Mesa County pays only about 25% of the cost of administering the program. Getting all the food for which they are eligible into the hands of our most vulnerable residents would cost the County about $500,000 more, but would provide a net gain to our local economy of $2.3 million. The big questions now are, how many food stamp-eligible Mesa County residents have gone hungry, and how much economic benefit has Mesa County lost out on under four years of Rose Pugliese’s leadership? With the county’s strikingly poor performance in this area, Commissioner Pugliese has cost our county millions in lost federal assistance. With an estimated turnover of 2.5 times (the impact of dollars coming into the economy as they are spent by those who receive them), the federal funds the county has lost would have amounted to an economic impact of $230 million over four years. This fall we’ll have an opportunity to vote Rose Pugliese out of office and elect people like Dave Edwards and Mel Mulder, who care about Mesa County citizens and don’t waste time and money making symbolic and ideological anti-government gestures that include rejecting federal help, often at the expense of human lives. In the mean time, Mesa County residents, either English or Spanish-speaking, who need help getting food can call Hunger Free Colorado‘s Food Resource Hotline at (855) 855-4626, which provides free, one-stop help getting connected to food stamp programs, free meal sites, food pantries and more. ← Colorado West Outdoor Advertising’s Big “Oops”! And, the funny thing is, my husband and I tried to hire her as a lawyer. She didn’t want to take the case because she didn’t want to fight! I asked her why she became a lawyer. The other thing is Janet is still running the show from behind the scenes because Rose does not have the capacity to make decisions. In reply to Rose Pugliese’s blog response, I need only point out that there are two primary reasons for performing aggressive outreach for food stamps – first and foremost, that there are thousands of Mesa County children, adult caregivers of children, both women and men, and disabled people in Mesa County, who are eligible to receive food stamps are not currently getting them – we should take responsibility for making sure that these individuals get adequate food and nutrition. There is widespread hunger in Mesa County, and there is widespread malnutrition in Mesa County as well. Second, if there were no eligible but not enrolled individuals, the economic impact on the County would directly be over $25 million a year for a County administrative investment in processing these applications of around $500,000. That $25 million would turn over in the economy several times, at least by 2 ½ times equaling an economic impact of $62.5 million per year. How is there any fiscal responsibility on the part of the County in not maximizing this food stamp benefit and reaping the full nutritional and economic impact of full use of food stamps? I believe that Rose’s stance on this is counter to everything we know and believe about how government should relate to eligible individuals. As an analogy, if children fail to enroll in school, we believe so strongly in the importance of school that we have long hired staff to go out and make sure that all eligible children are enrolled and are attending school. There simply is no significant body of “eligible but not enrolled” children anywhere in the United States. Similarly, having eligible but not enrolled individuals in Food Stamps means that we just don’t care if these people have adequate food. Why the county, which only pays for 25% of the cost of administering the Food Stamp program, would not aggressively pursue enrolling the Eligible But Not Enrolled (EBNE) individuals is beyond me. The county gets an enormous return on its investment — in this case, over $23.5 million dollars more than we currently receive, for about half a million additional dollars in administrative expense. This half a million of county administrative expense would also bring in another 1½ million in administrative reimbursement from the state and the federal government. In reference to recent legislation, Senate Bill 16-190, it was passed to address the speed and accuracy with which applications are processed. The Executive and the Legislative branches of Colorado State government both recognized that counties were failing to meet expectation in how individual’s applications were being processed. If anything, the bill itself fails to address outreach issues, and fails to address how to get a greater portion of eligible individuals enrolled. While timeliness is one method of measuring success, actually enrolling as many eligible individuals in public programs is another, and far more important, measure. If timeliness becomes the most important measure of how applications are processed, it becomes more important to staff to close a case than it does to handle a client with care. Waiting for additional information, following up with applicants takes more time, but can and should result in more successfully processed applications. I’m happy if the percent of applications processed accurately and in a timely fashion increase, but I’m not at all in agreement with Rose that the county does not have a responsibility to reach out to potential enrollees. Blaming Hunger Free Colorado for publishing information that it has been making available for years in similar formats is absurd. Rose’s attitude is primarily passive — that if people show up, they will process applications. I am aware that people can go directly to the PEAK system and apply for Medicaid and for Food Stamps — but even for individuals trained in using PEAK, the process can be daunting. If PEAK were much more user friendly, it would be a good resource. Right now, PEAK is only marginally more user friendly than it was last year. Many of the people who qualify for food stamps have been discouraged by their past experience with Mesa County. Most of them know that Rose has characterized people receiving public benefits as “takers.” Many of those who apply through Mesa County DHS are understandably very anxious in dealing with County staff. I do not accept that there is nothing that can be done when applicants don’t have the information required to accurately complete applications for assistance. We need to work with them, follow up with them when they lack certain information, and make the process as user friendly as possible. We are all less when any of us suffer, and women, children and disabled people are suffering from not having adequate nutrition. We need to redress their experiences with an aggressive outreach program. Nutrition for families and the disabled is essential. Currently, many of them would prefer going to food banks than face going back to Mesa County DHS. In my opinion, it is the attitudes of Janet Rowland and Rose Pugliese towards the poor, towards those who have lost their jobs and who are struggling to survive, that has created the anxiety that people are suffering and which has gotten in their way in obtaining public benefits. In further response, the blog does not mix up percentages of those eligible enrolled (54.5%) with those who are eligible but not enrolled. The blog correctly points out, as Rose admits in her response, that Mesa County is doing absolutely nothing to get those who are eligible for food stamps, but not currently enrolled in the program, to apply. There is no outreach, let alone any aggressive and effective outreach. Why Mesa County is not actively, if not aggressively seeking out eligible people to apply for food stamps makes no sense. The blog points out, and Rose has not in any way denied, that there are millions of dollars being lost when eligible individuals and families are not enrolled. Even a hard-hearted individual who was only interested in money would go after that money. People who are concerned about the welfare of citizens that they are responsible for (in this case, Rose and the other county commissioners) should be working with staff to figure out how to reach out to eligible individuals and families so that their health is improved by getting adequate nutrition. Why would Rose do this? First, children who don’t have sufficient food and adequate nutrition have stunted growth. These children also do poorly in school. This impairs their ability to become productive citizens. Children who suffer from malnutrition grow up with severe impairments of their ability to hold jobs, and have difficulty reaching their potential as employees, as parents, indeed, in every aspect of their lives. Mothers who don’t have sufficient food for themselves and their children worry constantly about how to care for their children. These mothers are also impaired in their work by suffering from lack of food. It is harder for them to hold down a job. Disabled individuals who don’t have adequate food are doubly impaired. It is harder for them to keep as functional as possible. It is harder for them to seek help. Not reaching out actively to eligible individuals and families is functionally equivalent to denying them these benefits. Again, by analogy, if the public schools didn’t enroll nearly every eligible child in school, they would be severely criticized. Public Schools and the public believe so firmly in the necessity of schooling our children that we do not tolerate not having nearly every child enrolled. The only exceptions appear to be children who have severe behavioral problems, and some children whose parents are waiting to obtain proper identification papers for their children, and the latter are only out of the school system for a very short period of time. If the same three measures (percentage enrolled; accuracy of processing applications; speed of processing applications) that are applied to food and nutrition were applied to public schools, and we had the same outcomes for children, we would only have 54.5% of children enrolled in schools; about 77% of the applications for school would be considered accurate, (resulting in enrollment in school); and applications would be processed with about 99% of the speed considered adequate by the state. Ask yourself which of these outcomes is the most important – nearly everyone would consider the percent of children enrolled in school as BY FAR the most important outcome. Accuracy and speed of processing applications are both purely administrative measures and outcomes, and both miss the core purpose of the enrollment process – getting children into school. Any system will respond to the importance put on each outcome by those responsible for the system. Accuracy and speed in processing applications should be considered secondary to the primary goal of enrolling all or nearly all eligible people in the food & nutrition program. I have to infer from the data provided that the people responsible for the system (the county commissioners) are more interested in reporting speed and accuracy to the state than they are to getting people the food they are eligible for. The commissioners can’t be interested in the lost revenues that the county as a whole experiences. Which are: direct benefits to the eligible people of $23.5 million dollars, as well as nearly $1.5 million in additional administrative cost reimbursements from the state and federal governments; as well as the effect of pouring over $25 million a year into the Mesa County economy – conservatively nearly 2 ½ times that $25 million. Those responsible for the food stamp program, the county commissioners, (NOT the administrator and employees of Mesa County DHS, who are only administering the food stamp program according to the dictates of the county commissioners) are also not interested in meeting the nutritional needs of children in school, women and men who take care of these children, and the disabled. This failure to care about the health and educational needs of a substantial portion of Mesa County residents results in: poor physical development of EBNE children; poor educational outcomes in schools of EBNE children; much heightened stress on adults responsible for these children (parents, teachers, counselors); obstructed work by adults who experience poor nutrition; heightened pain and suffering and poorer lives among EBNE disabled people. Study after study finds these effects of poor nutrition on the development of children and on the health of adults. The last sentence of Rose’s response is not true: “We cannot deny public assistance if they (EBNE’s) do not apply.” We are denying public assistance to people Rose labels as EBNE’s by not having an assertive outreach program. If the county put priority on outreach to individuals who qualify for food stamps, but aren’t currently receiving them, they will come. Right now, the 45.5% eligible individuals that the county does not have enrolled is a measure of the failure of the Mesa County Commissioners to care about people in need. Earlier in Rose’s response she denies the importance of outreach and blames Hunger Free Colorado for advocating for outreach. Rose also figured out that this blog is also advocating for outreach. Rose hasn’t achieved outreach by telling us that outreach isn’t important. Outreach is far more important than what she is currently doing, which is passive and self-congratulatory. This blog has not mis-represented anything. Rose’s response to this blog shows her misguided priorities and her failure to address the basic, fundamental needs of Mesa County citizens who need food and nutrition. No, the argument is that a previous decline in the global level of sea ice was cited as evidence of global warming, but that the global level of sea ice now is the same as in 1979.Yes, and the claim, that a decline in global sea ice was being cited as evidence of global warming, is a falsehood.Putting a falsehood in print could perhaps be taken as a simple mistake by someone who was not aware that there is an Ocean at the North Pole and a Continent at the South Pole.However, when it is pointed out that it is a falsehood, and the statement is not retracted, then that is clearly a &#;8e02li2”. and is currently 68.50% (June 2016) of those who apply. 2 – Eligible But Not Enrolled(EBNE) vs. Mesa County performance. force Counties to do it without fully funding them for the effort. CAPER. We are at 85.71% accuracy. 3 – SB16-190 – legislation to correct Mesa County. Well, Susan you took the words right out of my mouth (so to speak). I also just found out last night, and this is horrible, that all City Markets put all of their remaining hot deli food in the trash at the end of the day when the deli closes, around 8:30-9:00 p.m. That means all of the baked and fried chicken, mac and cheese, fries, mashed potatoes, gravy, green beans, etc., that is left over at the end of the day goes in the trash as a mandatory policy. The deli person I spoke to was as horrified about it as I was. She said the store wouldn’t even let employees take it home because they consider it “stealing.” She said it pertained to the ready-to-eat, hot food because of potential health and safety issues with the food. But still, I was absolutely horrified at the waste, with all the hungry families and kids in town…I wondered if something couldn’t possibly be done to utilize all that food. There is a Good Samaritan law that protects companies from legal damages if they donate their leftovers to a food rescue organization. Is there one of these in Mesa County? It is true…any food stamps go right back into our economy here and the crape of food from community food sources is beyond nutritional measuring..Giving canned food and highly saturated corn syrupy foods are culprits to poor health. We must vote her out and speak up louder than usual. Not all of us are able to grow our own gardens….Our current leaders in this county are too one sided and do not consider the people living here…we are a poorer county than most and doing things like cutting out food assistance makes this area un liked by prospective retirees’ and middle class families. I see her as a very cruel unconcerned person. Get her out of our county!